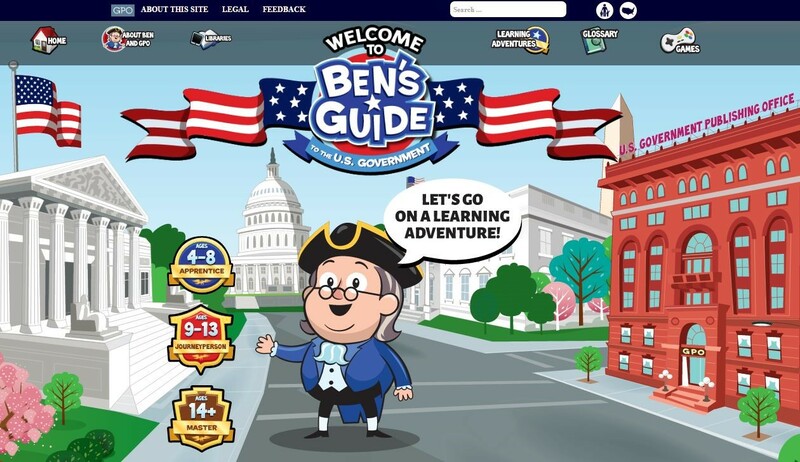 Ben’s Guide is a scholastic website hosted by the Government Publishing Office (GPO), designed to inform and educate students, parents and teachers about the federal government. The site includes learning activities about Ben Franklin, his life and legacy and information on the government and how it functions. As the first public librarian of the U.S., as well as a printer, Ben Franklin was the natural choice as “guide.” Ben’s Guide utilizes historic documents and resources found within GPO to create this interactive instructional tool. Enjoy as Ben leads on various learning adventures! Through the completion of games and activities, one will have a better understanding of how our country was founded, how laws are made, the difference between federal and state government and so much more. The learning activities are broken down into age groups: Apprentice (ages 4-8), Journey Person (ages 9-13) and Master (ages 14+). Ben’s Guide features three games: Play the States, Printable Activities (crosswords and word searches) and Branch-O-Mania. 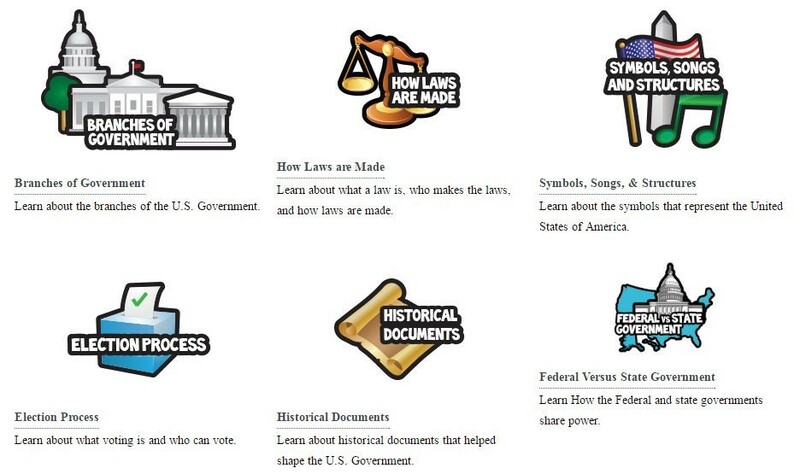 The site also includes a glossary to help children understand government terms and teaching activities for educators. Ben’s Guide was recognized by the American Library Association as a Great Website for Kids. The resource is wonderful for educators wanting to teach children about our country’s founding and how our government functions. The website is another example of how GPO is raising awareness on how the government works for you. Users can make any comments or suggestions relating to Ben’s Guide here. Please take a moment to explore this fun and educational site. This entry was posted in Reference & Government and tagged ben franklin, Education, educational, government, kids, learning, websites by indianastatelibrary. Bookmark the permalink.